Public speaking, for me, was once a terrifying prospect. Standing on stage in front of an auditorium full of strangers, lights low with maybe a dim spotlight on me, huge images projected on the screen behind me: this scenario was petrifying. Yet over the years, it’s become much easier for me to stand in front of an audience and speak. Perhaps it’s from practice or maybe it’s simply the passing of time, but either way I am now much more familiar with myself and what I do than I was when I gave my first formal lecture. It was to the Society for Photographic Education’s Conference at Evergreen State College in Washington. I was 22 years old and had to excuse myself after the first sentence came out of my mouth as I thought I might pass out. A highlight of the program for me was Dan’s opening sequence of, “Photos We Love and Why.” November 2014 is National Geographic Traveler’s 30th Anniversary, and I am humbled and pleased to have one of my images included in their 30 Greatest Travel Photos in 30 Years. Because these were the images Dan chose to show as part of the program, I was able to explain the behind-the-scenes of my image chosen, and Dan described the criteria he and his editors use in the selection process for the photos published in the magazine, and how those criteria had changed over time. Considering that over 30 million images have been submitted to National Geographic Traveler and of those, approximately 34,000 have been published in those 30 years, I feel very fortunate that one of mine landed in the chosen 30. In both Los Angeles and Portland, our audiences were terrific! Everyone was engaged, positive, asked great questions and seemed pleased to have spent an entire Sunday in a darkened room, looking at pictures with Dan and me. In fact, one of the winners of the 2014 National Geographic Traveler Photography Competition was in attendance at our Portland seminar. One of the many benefits of attending these seminars is that we allow a good amount of time for questions where anyone in the audience can ask and we are right there to answer. Our goal is to be there to not only provide insight and information about the world inside National Geographic Traveler Magazine, but also to tailor the day for interaction with participants. I always dine with the guests so we can possibly continue talking during lunch. Participants also received a handout which has not only the information we address during the seminar, but also a list of resource web sites for Travel Photographers. I look forward to my upcoming speaking engagements. I will discuss my work during Portland’s upcoming Photolucida. I am scheduled to give a talk to the students at the Pacific Northwest College of Art during one of their “Career Chat” programs and also at the Froelick Gallery where I’ll be having a show of my work in April. I will be giving another seminar for the National Geographic Seminar program this coming spring. As the schedule becomes available, I’ll be posting about it on my social network pages as well as on this blog. The assignment I shot for National Geographic Traveler Magazine about Barbados was the first assignment where I brought along some sound equipment and although, due to a very tight shooting schedule, I didn’t have much time to gather audio, there was one interview with a couple of local women who go every morning to Enterprise Beach, otherwise known as Miami Beach, to have a sponge. From my hotel room, I’d hear people walking down the road at dawn towards the water so one morning I followed. It was glorious. All manner of locals just hanging around, talking and floating in the clear, blue water. This went on all day, every day, weather permitting. The people of Barbados are so friendly and these two women really expressed this warmth while discussing the water they visit for social and medicinal purposes. I’ve posted a video about it on my web site and also wanted to put it up here. I find their voices uplifting and it brings joy to my heart to listen to their passionate love for their beach, Miami Beach in Barbados. The photos were all made with a Canon 5D Mark II and processed in Adobe’s Lightroom. The slideshow was put together using Final Cut Pro. The audio was gathered using an Audio-technica omnidirectional condenser mic with a dead cat wind screen and an Edirol R-09HR recorder. I use Bose noise-canceling headphones while recording audio. In addition to making a short multimedia piece, which was posted previously, I’ve made some images available on my Stock Photography site from the Pu’u Kukui Watershed hike. This is a rare and marvelous place. If you’d like to look at more photographs from the day, you can do so by clicking here. Here are a few more pictures from the day. Aloha! The view down to Lahaina and the Ka'anpali Resort Development. Yesterday I had the great privilege of attending the monthly rain gauge hike in the Pu’u Kukui watershed in the West Maui Mountains. I produced this short multimedia piece to illustrate a tiny snippet of the experience, which I shall never forget. The majestic beauty of this place will hopefully inspire people to conserve this extremely fragile area of the Earth. A great big mahalo to Sam Ohu Gon who chanted for our forest entrance, to our guides, Daniel and Lono and to the Pu’u Kukui Watershed preserve for granting us this incredible experience. Look for photos from the day which I will soon post on my Photoshelter site. I have been invited by the Portland Art Museum’s Photo Council to give a talk about my work as an editorial photographer and a fine art photographer. The talk will take place at the museum in the Miller room on Wednesday, February 17th at noon and is open to the public. There was blurb about the talk on DK Row’s blog and in today’s Oregonian Newspaper. The talk will largely revolve around the broad notion that photography is simply a device used to communicate ideas. Those ideas can be as distinct as each individual that chooses the camera as their medium. More to come on Wednesday… bring your lunch and be sure to not shy away from asking questions! This is a casual affair. PORTLAND, Ore. —Noted photographer Susan Seubert will be giving a public talk about pursuing two discrete photographic careers: one as an artist and the other as an editorial photographer. In this talk, I will discuss the challenges and rewards of being both a fine art and editorial photographer, how I’ve kept the two careers separate, and how ultimately they’ve grown to inform and involve one another. I will show work that spans both careers. 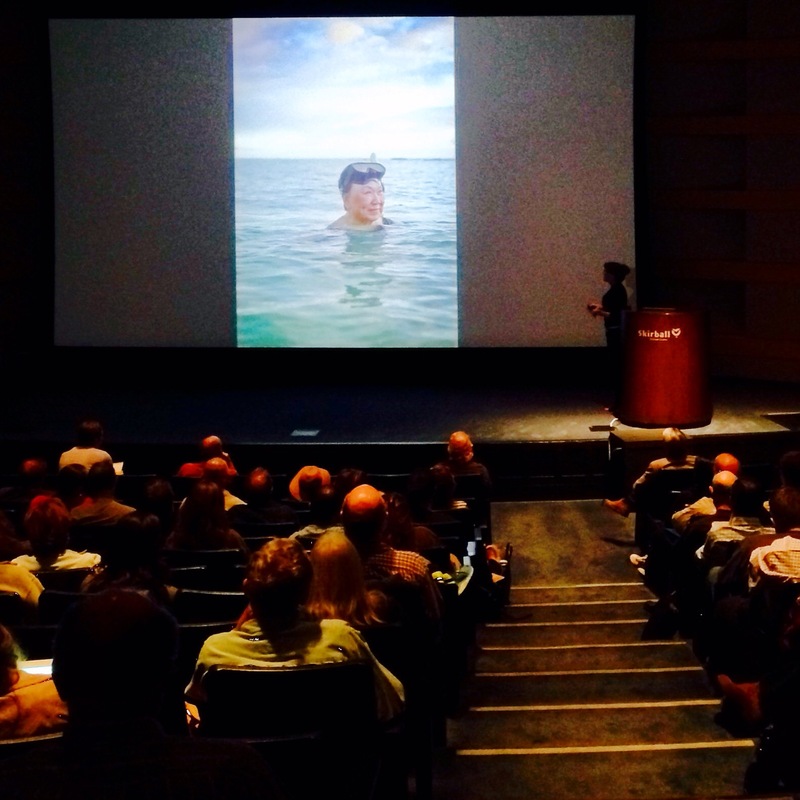 Susan Seubert’s public talk is part of the Photography Council’s monthly “Brown Bag Series”, a series of informal presentations by Northwest photography luminaries, the 3rd Wednesday of every month from Noon – 1 p.m. in the Miller Room at the Portland Art Museum. This presentation is sponsored by the Portland Art Museum’s Photography Council. Date & Time: Wednesday February 17, Noon – 1 p.m.
Susan Seubert was born in 1970 in Indianapolis, Indiana and is an active fine art and journalism photographer based in Portland, Oregon. Her provocative imagery has earned her critical acclaim with inclusion in the Portland Art Museum’s 1999 and 2001 Biennials and most recently in the 2009 Tacoma Art Museum Biennial. In 1999 Columbia University awarded Ms. Seubert an Alfred Eisenstaedt Award for her magazine work. Exacting in her preparation and printing, she is a master with the techniques of silver gelatin, platinum, tintype and wet plate collodion. Since receiving her BFA in photography from the Pacific Northwest College of Art in 1992, Seubert has exhibited continuously in the United States. She was featured at Houston Center for Photography in 1997, and included in exhibit at Exit Art (New York) in 2001. Currently, her work is represented by Froelick Gallery (Portland, OR), G. Gibson Gallery (Seattle, WA), and the Joseph Bellows Gallery (La Jolla, CA). The Portland Art Museum Photography Council offers members behind-the-scenes access to collections, exhibitions, and curators. The council sponsors annual acquisitions for the Museum’s photography collection and brings renowned international photographers and historians to Portland for public and private events. Since its founding in 2001, the council has sponsored programs by David Byrne, Bruce Davidson, Elliott Erwitt, Abelardo Morell, Jerry Ueslmann, and many more. Dues to join the Photography Council are $100 for Members, $200 for Contributor Members, and $500 for the Advocate Member level. The seventh oldest museum in the United States and the oldest on the West Coast, the Portland Art Museum is internationally recognized for its permanent collection and ambitious special exhibitions drawn from the Museum’s holdings and the world’s finest public and private collections. The Museum’s collection of 42,000 objects, displayed in 112,000 square feet of galleries, reflects the history of art from ancient times to today. The collection is distinguished for its holdings of arts of the native peoples of North America, English silver, and the graphic arts. An active collecting institution, dedicated to preserving great art for the enrichment of future generations, the Museum devotes 90 percent of its galleries to its permanent collection. The Museum’s campus of landmark buildings, a cornerstone of Portland’s cultural district, includes the Jubitz Center for Modern and Contemporary Art, the Gilkey Center for Graphic Arts, the Schnitzer Center for Northwest Art, the Northwest Film Center, and the Confederated Tribes of Grand Ronde Center for Native American Art. With a membership of more than 22,000 households and serving more than 350,000 visitors annually, the Museum is a premier venue for education in the visual arts. For information on exhibitions and programs, call 503.226.2811 or visit portlandartmuseum.org. 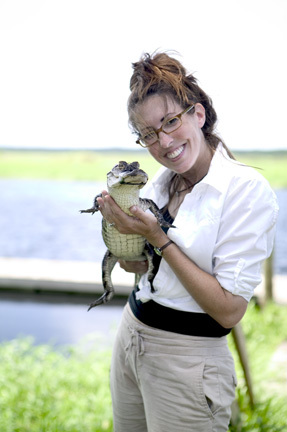 Florida - holding a baby alligator. Learned a lot about how to hold one. Keith Bellows, the editor in chief of National Geographic Traveler, picked his favorite images published in the magazine in 2009. I have had the tremendous honor of having one of my images selected for inclusion in this slideshow, which is published online. Keith explains why he likes each image and it’s worth a look. Plus I’m in magnificent company, with Sisse Brimberg & Cotton Coulson, Justin Guariglia, Catherine Karnow, Annie Griffiths-Belt, Dan Westergren among others. Have a look at the slideshow here, and be sure to turn on the volume so you can hear his reasons. It’s hard to believe that 2008 is over. When I look back at the year, I struggle to comprehend how so much happened in 365 short days. Travel included New York, San Francisco, Australia, Seattle, and of course, Hawaii. My first cover for National Geographic Traveler. My first shoot for the New York Times (in four years), the exposé of Margaret B. Jones, aka Peggy Seltzer. My first surf board. My brother turned 40. A new studio. Good friends in Maui. An alleged shark incident. My husband starts cooking Japanese cuisine. A total lunar eclipse. A monk seal on our beach. Barack Obama is elected president. The happiest thing: my two best girlfriends have baby boys. The saddest of all, our great friend Terry Toedemeier passes away. May he rest in peace.